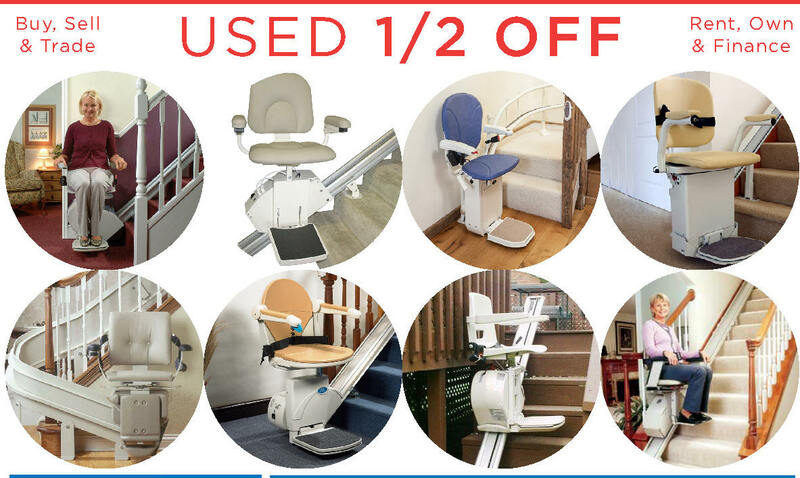 and we can easily give you a price. 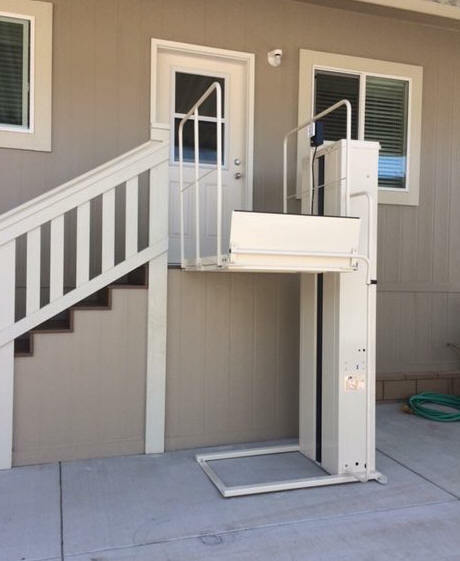 affordable, easy to buy and easy to install. 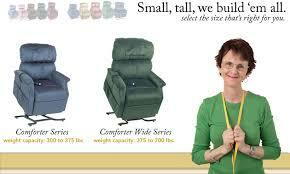 SINCE 1964, we have been making Your Comfort Is Everything! 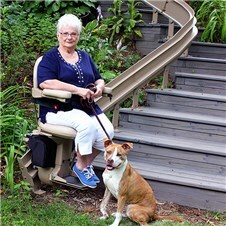 for over 52 years, you get pretty good at it. 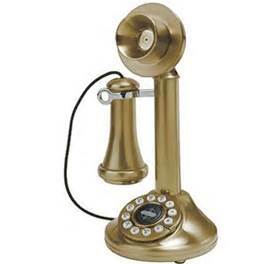 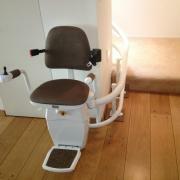 With its low running costs, it even operates through a power cut. 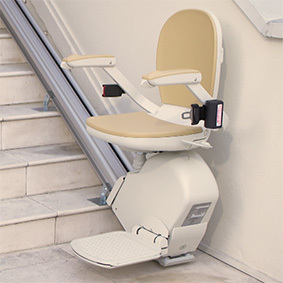 The sleek, smooth and modern rail system is unique to this stairlift. 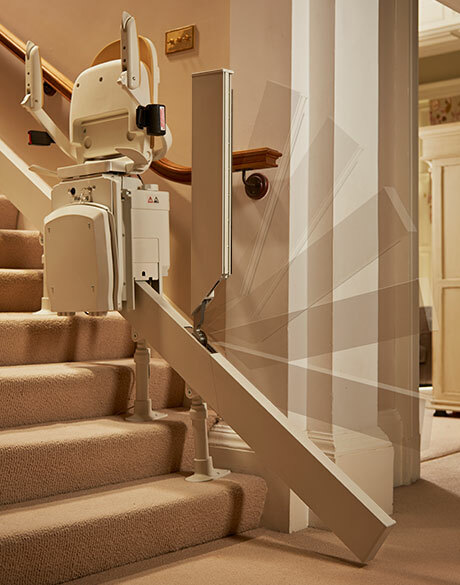 There is no waiting weeks to have an expensive rail made for your HOME, utilising the FastTrackÂ® system, it can be installed in a matter of days with no mess and no fuss. 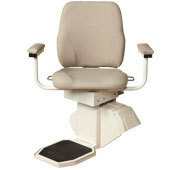 The Acorn 180 has a sturdy and hard-wearing foot rest and seat for daily use and comfort. 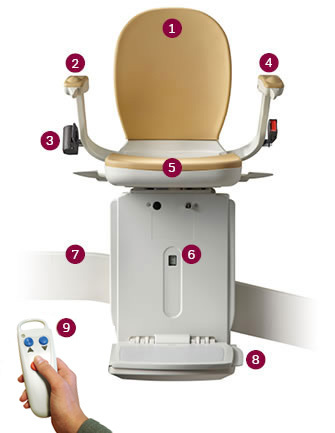 The Acorn 180 curved stair chair has an Up and down paddle switch simple to control and use. 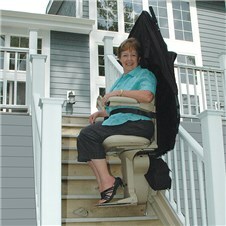 Fully secure inertia seatbelt gives added security and peace of mind when using the stairchair. 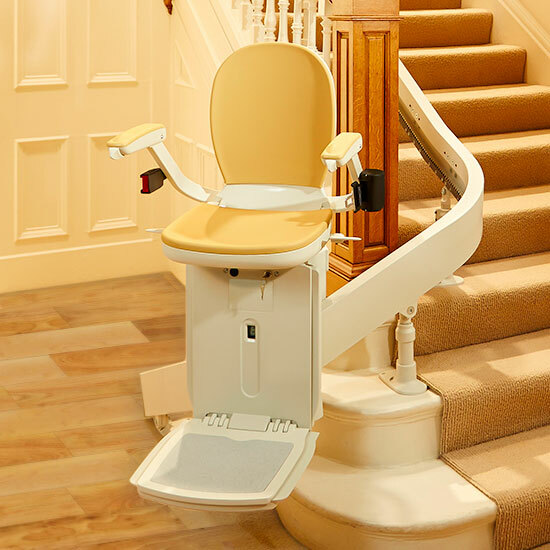 stairlift design with fold-away seat, foot rest and arms. 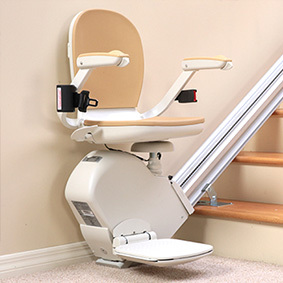 Single stairlift rail that uses an innovative FastTrackÂ® system (unique to Acorn), which means an attractive rail with fast installation times. 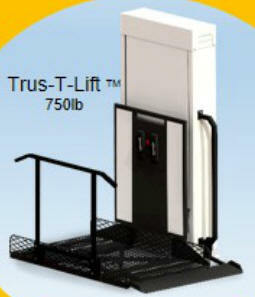 Two easy-to-use handheld remote controls, to call the lift when you're upstairs or vice versa, come as standard. 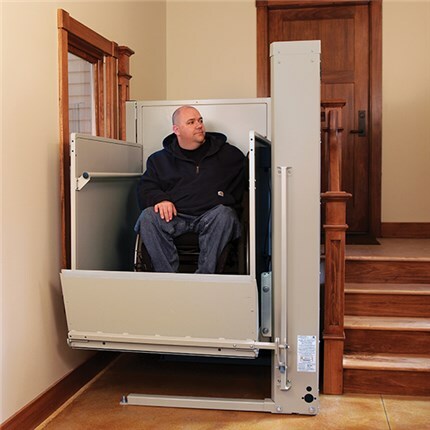 Can be fitted when there is a opening or doorway at the foot of the stairs automatic powered hinged rail solves this problem. 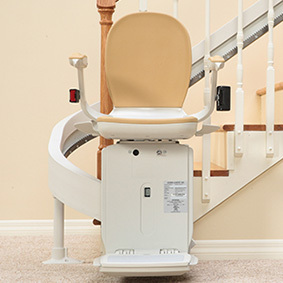 The curved rail has a section at the bottom that goes up and out of the way automatically as the stairlift travels up and down the staircase, allowing easy access at the foot of the stairs. 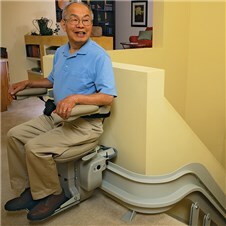 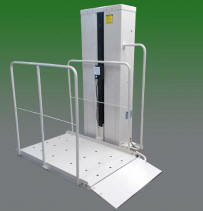 The powered hinge raises and lowers automatically as the stairlift travels up and down the staircase. 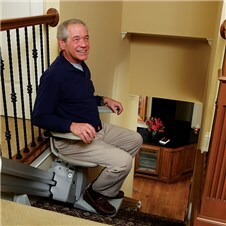 When you park the stairlift this part of the rail is neatly out of the way with no obstruction. 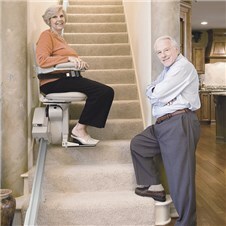 the RIGHT Stair Lift is RELIABILITY. 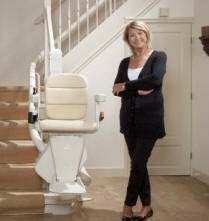 #1 Acorn Stair Lift Dealer in Bay Area! 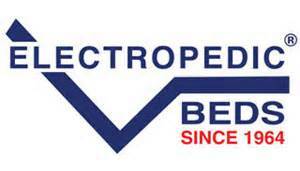 Originally the manufacturer of the Electropedic Adjustable Bed Since 1964, Electropedic expanded into Electric Homecare Products, including Electric Bariatric & Hospital Beds, Chair & Stair Lifts, Scooters & Wheelchairs, Vehicle & Porch Lifts, and Latex Mattresses. 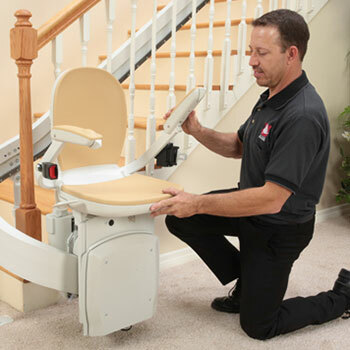 Today, we are the most qualified stair lifts specialists that offers the public the most affordable prices, service and installation on new and used stairlifts. 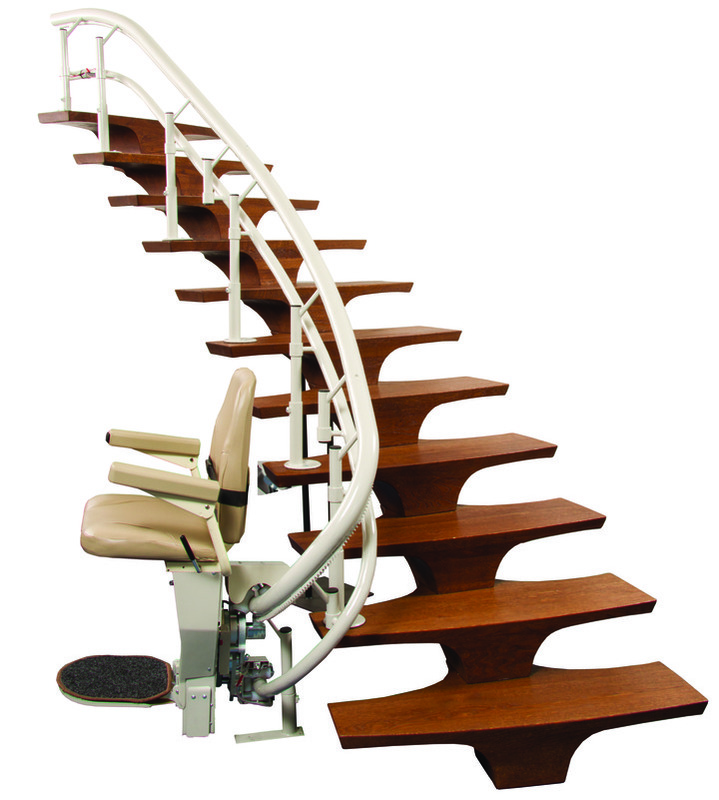 We can install the Acorn Curved Stairchair in LESS than a week of your call. 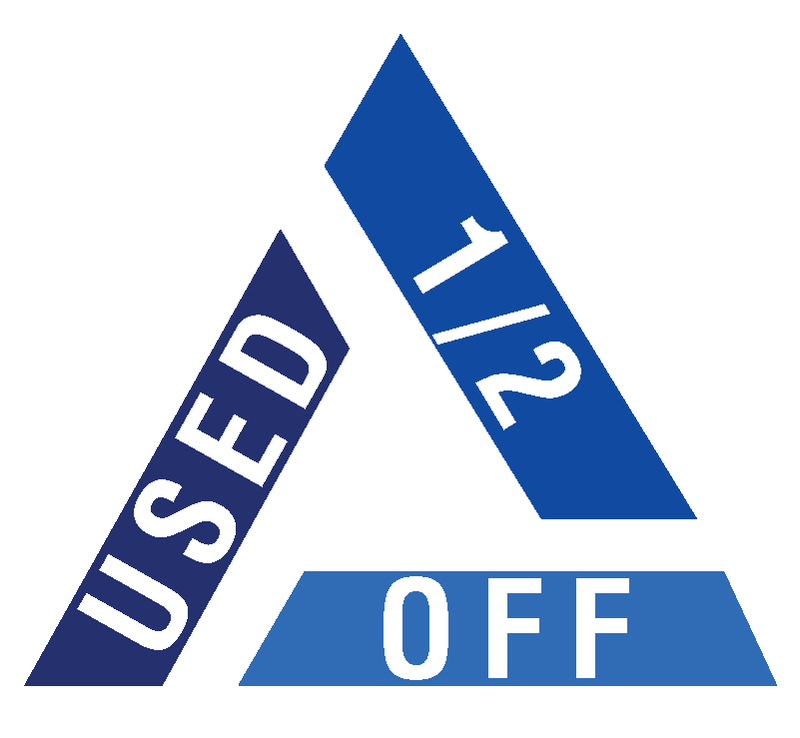 Our volume at Electropedic Beds gets us factory discounts novices can't match.